The United States has announced that it has no plans to stop a $550 million deal with Russia to purchase helicopters for the Afghan Special Mission Wing. 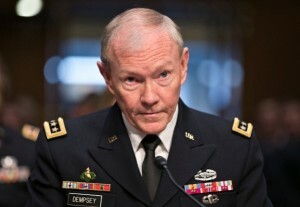 “On the Mi-17 [helicopters], … I support continuing on the path we are on,” said Chairman of the US Joint Chiefs of Staff Martin Dempsey on Thursday. The Pentagon was urged to put the deal on hold by the Special Inspector General for Afghanistan Reconstruction (SIGAR) in late June. In order to get the Afghans as capable as possible by the end of next year the US must commit to the fleet, said Dempsey. “There is no way we can transition at this point to give them anything other”, he added. Since May 2011 the Pentagon has purchased 33 Mi-17 helicopters from Rosoboronexport, the state-run Russian arms exporter. A new contract was signed on June 17 with the Russian exporter for 30 helicopters, despite a US congressional ban imposed last year against any deals with the firm. The US Congress has repeatedly criticised the Pentagon for doing business with Rosoboronexport. Russia and the US have different views on arming the Syrian opposition and also on Russia’s military aid to the Assad government. However, Dempsey said recently that disagreement with Russia over Syria does not mean they could not cooperate elsewhere. Rosoboronexport said in May that its helicopter export contracts had reached $5 billion. Russia exported helicopters worth a total of $1.5 billion to 23 countries last year, according to the exporter’s website. The firms largest clients include India and China.